How to Tell If There Is a Spider in My Ear? There are many different kinds of bugs, flying bugs, crawling bugs, stinging bugs and non-stinging bugs. Bugs are everywhere. There is no getting away from them. You can find bugs in your backyard, in your car, in your house and even in your ear! Sometimes a misguided flying bug will fly right into your ear or maybe a bug will just walk right in while you are sleeping. How ever they get in to your ear doesn't matter, you just need them to get out. Getting a bug out of an ear isn't as easy as it sounds, you can't just tell them to get out, they won't listen, but you can try the following remedies. Turn all of the lights out in a room and shine a flashlight into the ear. Leave the flashlight about 1 inch away from the opening of the ear. See if the bug will come out. Some bugs will fly or crawl towards light. 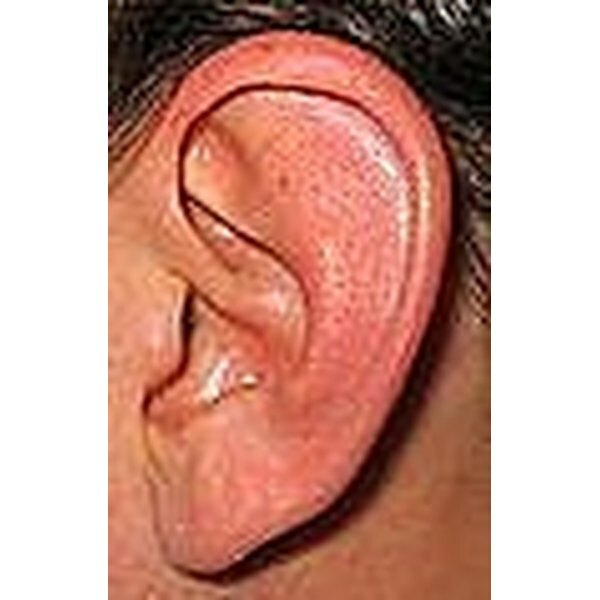 If there is a bug in your ear put mineral oil or olive oil in the ear, fill the entire ear canal. Wait about 2 minutes, pull the ear lobe back and turn your head towards the ground to allow the oil to run out of your ear and hopefully the bug will come with it. If neither of those work, you will have to see a doctor. If you were bitten or stung while the bug was inside your ear, go to the Emergency Room. A sting or bite inside the ear can damage hearing and this area puts you at greater risk for infection.